Sometimes life is so busy that it is hard to see, well, ‘the wood for the trees’. A good case in point is that microscopic waxy outer layer of the herbaceous parts of plants called the cuticle – so easily missed and, for so long, suffering all the assumptions that have been made about it. The cuticle is an outer layer of waxy type compounds (cuticular waxes to be precise) plus a product called cutin. Both of these are hydrophobic – repelling water – which is essential for them to fulfil their role in plants. Plants want to keep as much water inside them as possible; with no water they die, just like us. The cuticle lies outside the epidermis (the outer cellular layer of all herbaceous parts of plants). It used to be thought of as a relatively inert layer but as happens so often with science, this was a false assumption. It is dynamic and very often interacts closely with the epidermal layer itself, almost as one unit. 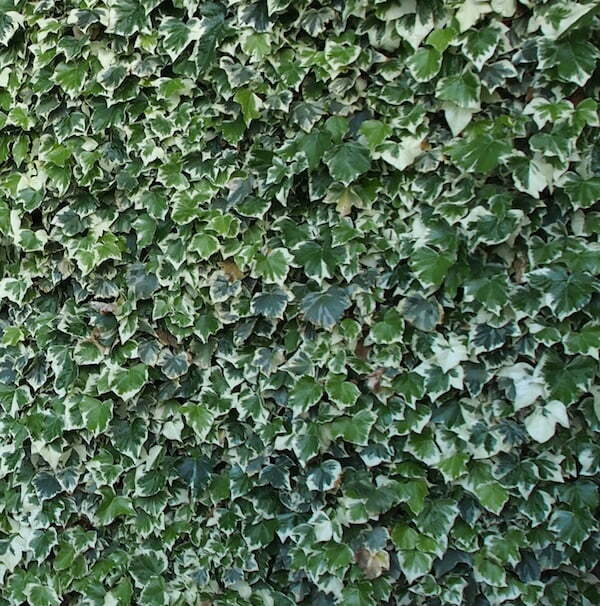 Its appearance varies greatly, as we all know, from the glossy leaf on ivy to the matt finish of broccoli. Not all cuticles are equal and there is as much variation in their makeup as there is in leaf shapes. Why was a cuticle essential for plants to survive on land? First, we must know that like us, the ancestors of our plants had to move from their protective environment in oceans and waterways on to the harsh environment that existed on the land. This would be like going from a cosseted warm house to living in the open in Antarctica, a big leap into the unknown. Suddenly, plants could lose water, there was harsh UV radiation, temperature extremes, and they had weight – they had become ‘obese’ – well not really but you get the picture, gravity was real. It was at this time that the cell walls all plant cells have, began their development to what we see today. The organisms we’re talking about were the green algae (Charophycean to be precise) and the cell walls they developed not only gave them protection, but structural support as well. The biggest issue mind you, was still how to deal with water loss from the plant parts suddenly now exposed to the air; a completely new phenomenon for these new land dwellers. Some say this was one of the most important developments in plants and without it, of course, movement on to the land would have been impossible. So what used to be considered the main function of the cuticle? The answer to this of course was minimising water loss through transpiration, the loss of water through aerial parts of plants. 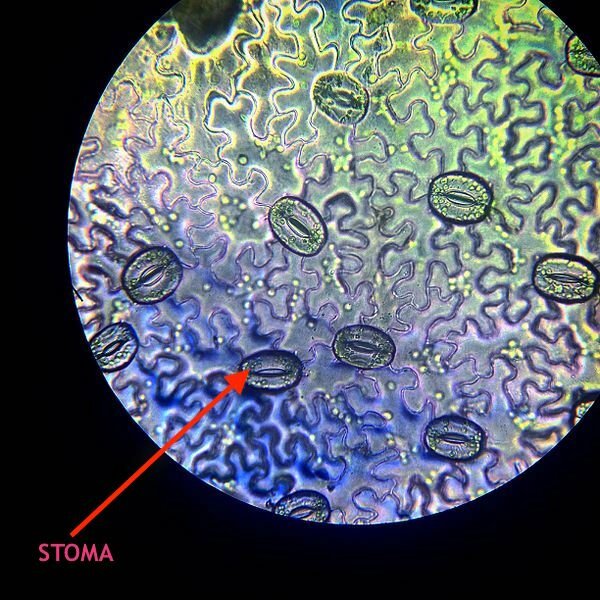 This would ensure that the ultimate control of moisture loss through the transpirational process is left to the stomata, tiny openings found mostly on the underside of the leaf. For a long time the cuticle had been viewed only on this basis. It’s a wee bit like the police deciding that someone is guilty and putting all their resources into ensuring that their theory/assumption is correct. So many of us also probably thought that a thicker cuticle meant decreased water loss through the associated structures, whether they were leaves or stems. But studies have shown that there is no correlation between thickness and/or the amount of wax, and water permeability and hence susceptibility to drying out. The controlling factor to how good the cuticle is now known to be about the particular mix of compounds that make up this microscopic layer and how they lie – too complex for me, so I’ll just leave it at that! But there’s more . . . as with so many things in science, we come to conclusions too quickly and as soon as someone is brave enough to delve a little deeper, more and more is found out. 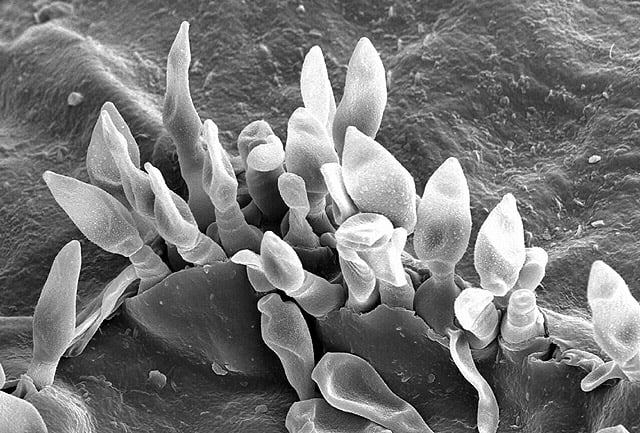 The cuticle is now known to be a plant’s first line of defence against those organisms that do not normally enter the plant via a vector, such as a sap sucker (great for spreading diseases), or normally try to enter through stomata or damaged plant parts. Those that can get through have the means to, in essence, dissolve this layer, exposing the cells below or putting in structures that in a way, open it up. 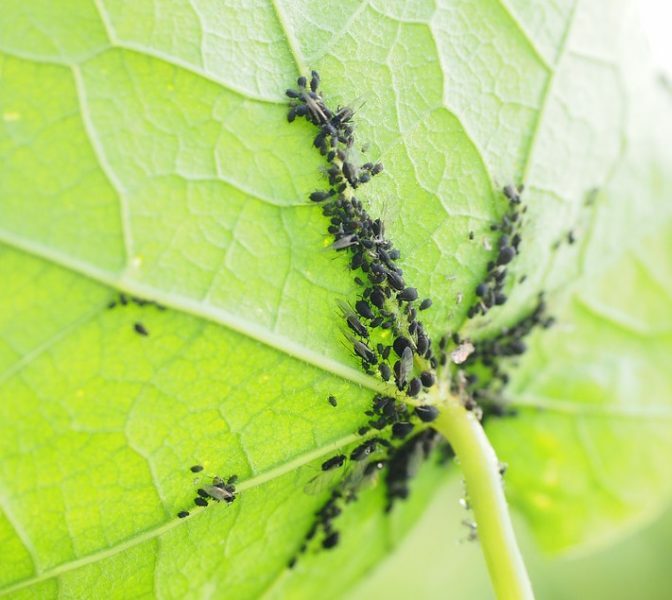 Some studies are showing that there can be an increase in cuticular development with some plant pathogens and pests but at present, how this actually works is still not really understood. With others though, a more permeable or thinner cuticle can lead to an increase in a plant’s defence mechanisms, the reason possibly being because the plant can activate its natural defence systems faster. Ahh, they still don’t fully understand, but all agree that the cuticle is important for recognising attack and initiating defence systems. The cuticle plays an integral role in protecting a plant from UV radiation, being brilliant at scattering the rays. It is the plant’s first line of defence with pigments and compounds within the epidermal cells doing the rest – the elves do not need to get out there with the sun- block. This is so named because the lotus leaves are the experts here. The intricate cuticular arrangement on their leaf surface forces water to form droplets that, as they roll off the surface of the leaf, collect and carry all the debris to the substrate below. 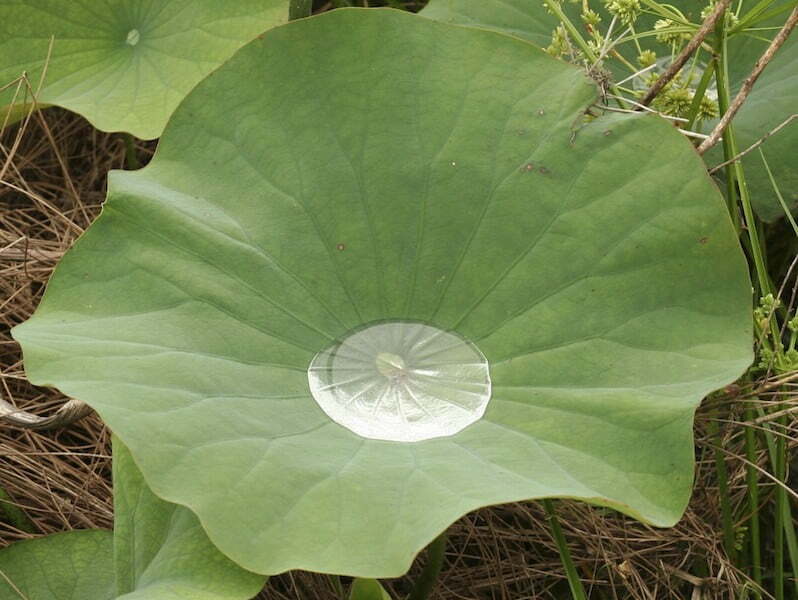 For lotus, this is the water in which it lives and for land plants it is the leaves below and eventually the soil. In the shedding process, any fungal spores or bacteria that have landed are simply washed overboard. This keeps the leaves clean and clean leaves mean more light, more photo synthesis, more sugars. A no-brainer. 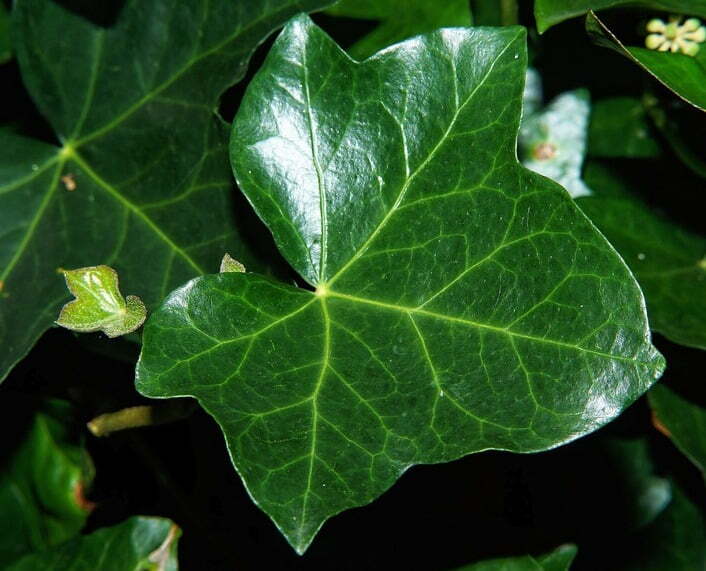 A study with ivy and cherry laurel has shown that some bacteria have the ability to alter the permeability of the cuticle, hence providing moisture from within the leaf enabling them to survive (1). Here we need to remember that not all bacteria are bad just as all animals are not! It has also been shown that microbes capable of doing this can also source nutrients from the plant host. More often than not these associations are symbiotic. 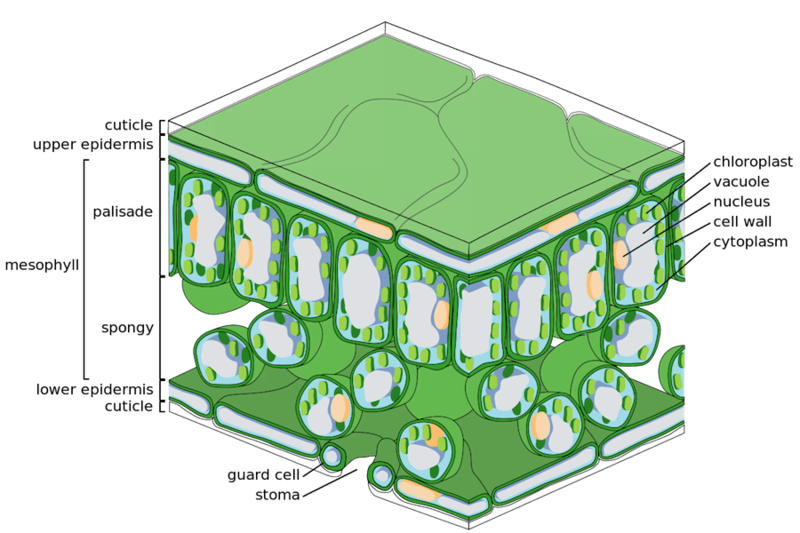 One of the cuticle’s main functions is to move the control of moisture and carbon dioxide to the stomata. But both water and CO2 have been shown to also move through the cuticle, and water (and other chemicals in solution like water-soluble salts) can move both in and out of the cuticular membrane through small surface cracks and along tiny, branched pathways. The amounts are very small and only occur if the leaves are well hydrated. If this was not the case how would those herbicides get in? This is an area where the agrichemical scientists are continually working to try and increase the efficacy of those plant killers that we too often rely on. These pathways are also essential for foliar feeds to enter the leaf surface but there is a limit for many nutrients as to how far they will travel once they have entered the leaf cells themselves. It is generally considered, not surprisingly, that the more humid the conditions the greater the permeability, which is not too surprising when we go back to the first premise for its existence, controlling water loss. Fiona Eadie grew up in Dunedin, New Zealand and has a BSc in Botany from Otago University. She first spent four years in Auckland undertaking native forest research with the Forest Service and then DOC, then a few years managing a delicatessen and eleven years managing the famous Oratia Native Plant Nursery. In 2001 Fiona headed back to her beloved South Island and Dunedin, and for the past 12 years has been head gardener at Larnach Castle, with its internationally renowned gardens. She also teaches horticultural apprentices throughout New Zealand and has a regular column in Commercial Horticulture magazine, where she teaches readers about the wonders of plants, plus a gardening slot on on Radio Live. As she says, "I love plants, and within plants, my largest passion is with New Zealand natives." Great to read a scientific article – but written so it’s easy to understand. Knowing a bit about the how and why helps us understand our plants. Thank you.